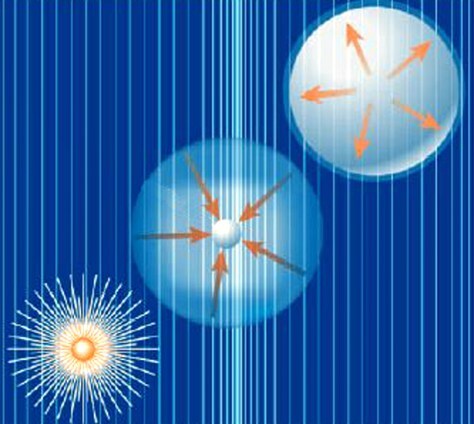 This illustration shows sonoluminescence at work, moving from upper right to lower left. At low sound-wave pressure, a gas bubble expands. An increase in pressure triggers its collapse, creating a smaller bubble of partly ionized gas. Temperatures soar, and the resulting plasma emits light that is detected in the experiment.